Stay informed on the latest events, activities, and resources, with the 2017 Spring Recreation Brochure! The following day, Sunday, May 7, the annual Town Cleanup Day will take place in from 9 a.m. to 1 p.m., at the Wastewater Treatment Plant on 2nd Avenue. This year, Lyons utility bills are not necessary to participate; area residents are welcome to bring items for recycling, donation, and disposal. 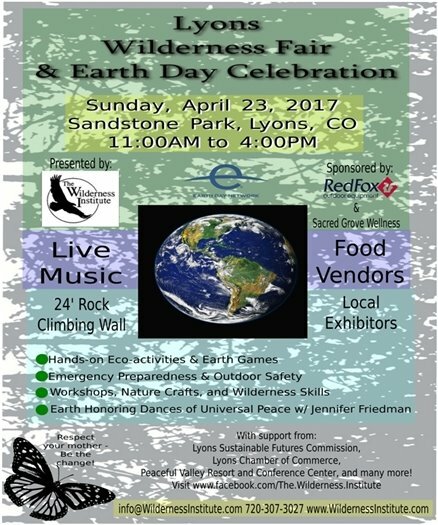 The goal of this event is reduce landfill items by providing responsible disposal of items that otherwise could not be recycled locally. As in the past, most types of materials will be accepted (electronics, yard-waste, branches, mattresses, tires, donations, etc.) EXCEPT hazardous materials (paint, chemicals, etc.). Some items will incur a cost others we will accept for free. See www.lyonscolorado.com/events/community-wide-garage-sale for the most updated list of acceptable items and the pricelist. Boulder County is launching a program to provide free bike racks and installation assistance to businesses throughout the county. Just in time to encourage spring riding, the program helps encourage bicycling for transportation and also as a part of active living. Businesses can now get free bike racks and assistance with choosing a site on their property for the racks so employees and customers have a safe place to park their bikes. All businesses are eligible to receive up to five bike racks, and Partners for a Clean Environment (PACE) advisors will help businesses site the racks and have a design layout approved by their local government permitting office. Businesses will be responsible for the cost of installation, but the county will provide a list of pre-qualified installers. 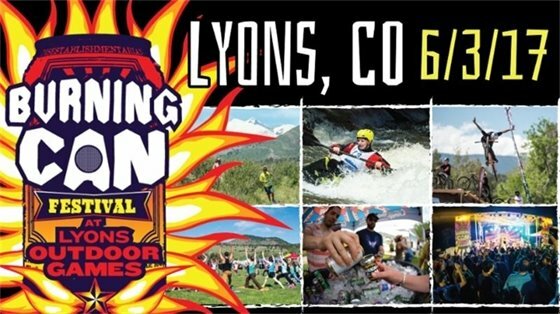 The Town and its associated contractors involved with the design and engineering of the North St. Vrain restoration are excited to showcase the new state-of-the-art whitewater park in LaVern M. Johnson Park, for the 2017 Lyons Outdoor Games Slalom Competition. The design of the stream through LaVern Park is more suited for slalom racing, whereas the event's previous location, Black Bear Hole, is more accommodating to freestyle play-boating kayaking. To continue its support for the kayaking community, slalom gates have been installed along portions of the creek, within LaVern Park.. Kayakers are welcome to utilize the gates as a practice course, through the weekend of the Outdoor Games. The gates will be removed following the event, during the weekend of June 3-4. The gates will only be up during high water, when tubing and fishing opportunities are limited or less likely to occur, or can be pushed to the side when not in use. Wildfire Partners is a mitigation program to help homeowners prepare for wildfire. 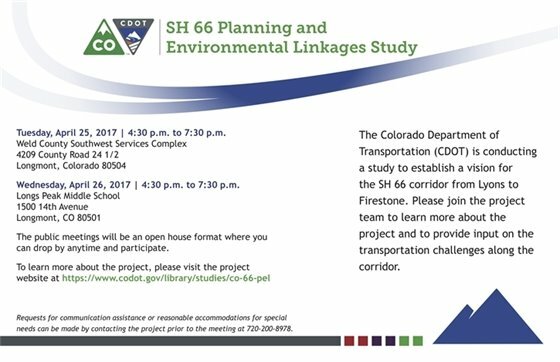 This program is funded by Boulder County, a $1.5 million grant from the Colorado Department of Natural Resources, and a $1.125 million grant from the Federal Emergency Management Agency (FEMA). Wildfire Partners assists all Boulder County mountain and foothills homeowners—whether you own a new home or an older home, whether or not you have performed mitigation in the past, and whether or not you have had difficulty obtaining insurance or selling your home. Since 2014, more than 1,100 participating homeowners and 35 partner organizations have helped make this program a success. Wildfire Partners is a nationally recognized model for wildfire mitigation that is incorporated into the county’s building code. Become a Wildfire Partner! Be a positive role model for others. Help create a more resilient community. Receive targeted technical advice and significant financial support. Obtain a Wildfire Partners Certificate that is automatically recognized as proof of proper mitigation by select insurance companies. Visit www.WildfirePartners.org to learn more and apply today!